From Portugal to Puerto Rico, there is no shortage of fantastic golf courses around the globe. 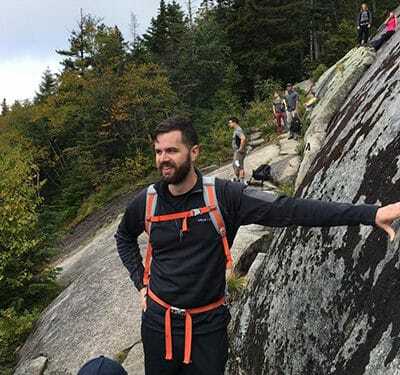 Some legendary destinations, such as St Andrews’ Old Course, top every golfer’s bucket list, while others, such as Nova Scotia or Iceland, remain under-the-radar gems that offer truly unique experiences. Here, Indagare rounds up a few of our favorite courses around the world. Contact Indagare to plan a customized golf trip. 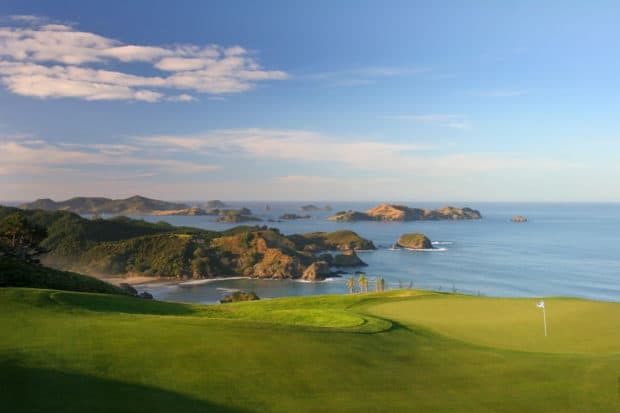 Though New Zealand may be better known for its adventure sports and world-renowned rugby team, the most popular sport in the island country is, in fact, golf. Thanks to New Zealand’s stunning topography, many of the country’s 400+ courses feature improbably beautiful surroundings. Tara Iti, located in the sand dunes on a small peninsula about 100 miles north of Auckland and designed by renowned American architect Tom Doak, is a true standout: though only five years old, its minimalist design is an instant classic, recalling the great links of Scotland and Coore & Crenshaw’s groundbreaking work at Sand Hills. Other must-play courses can be found at the Robertson Lodges’ Farm at Cape Kidnappers (with a course also designed by Doak) and Kauri Cliffs. No frills, no carts, a stiff breeze off the North Sea…this is golf at its most elemental. Using Edinburgh as a home base, golfers should take a pilgrimage 50 miles north to St Andrews, fondly dubbed the “Home of Golf,” to play the iconic Old Course—but don’t overlook nearby North Berwick. In Perthshire, The Gleneagles Hotel is home to the PGA National Academy for Scotland and three championship courses, among them the PGA Centenary Course, whose designer Jack Nicklaus called it “the finest parcel of land in the world I have ever been given to work with.” The west coast of Scotland is also worth a trip, featuring gems like Prestwick (the original home of the Open Championship), Royal Troon and Machrihanish. 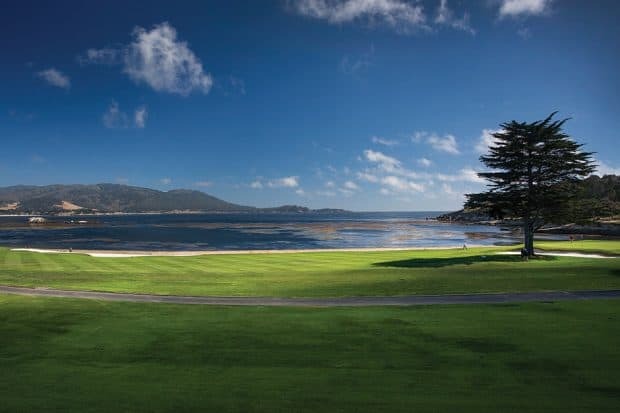 With a spectacular setting that wends around the majestic bluffs of Monterey, Pebble Beach Golf Links is consistently rated among the top golf courses in America and commands a spot on the bucket list of any golf enthusiast. Opened in 1919, The Lodge at Pebble Beach is the premier accommodation by the course, and in addition to the legendary Pebble Beach course, there are four other golf courses nearby, including Spyglass and Spanish Bay, which are part of Pebble Beach Resorts. There is also a highly acclaimed golf academy, where guests can take lessons, enroll in camps and learn from some of the world’s top pros. With more than 35 courses dotting its coastline, the Algarve, in southern Portugal, is continental Europe’s premier golf destination. The Portugal Masters is held each year at Dom Pedro’s Victoria Golf Course. The Dom Pedro complex also comprises four other excellent courses in addition to the Victoria: the Old Course, Vale do Lobo, San Lorenzo and Millenium. Nearer to Lisbon, the towns of Cascais and Estoril in the Portuguese Riviera also offer some top-notch seaside tracks. After Hurricane Maria, Puerto Rico is back and better than ever. 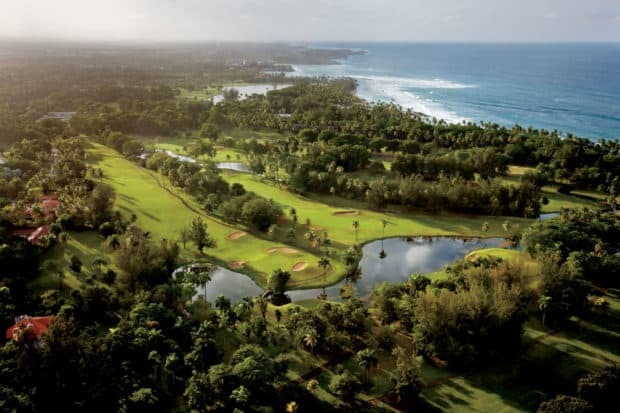 Though there are myriad golf options to choose from, few resorts can compete with the Ritz Carlton Reserve at Dorado Beach, home to two courses designed by Robert Trent Jones. Of more than 30,000 golf courses worldwide, fewer than one percent can be properly considered “links” courses: windswept, coastal courses built on sandy soil. Inverness, Nova Scotia is home to two of these courses at Cabot. 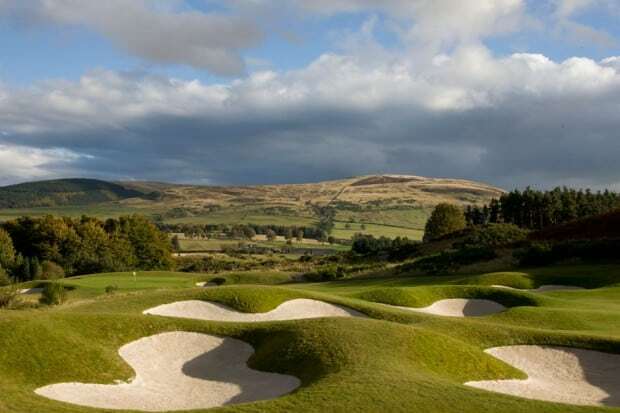 Though the courses were built within the last decade, they have a truly timeless quality that (quite appropriately for a destination named “New Scotland”) evokes the great links courses of the United Kingdom. One of the pleasures of playing golf in Scotland has long been the ability to play late into the evening during the summer months, due to the country’s northern latitude. 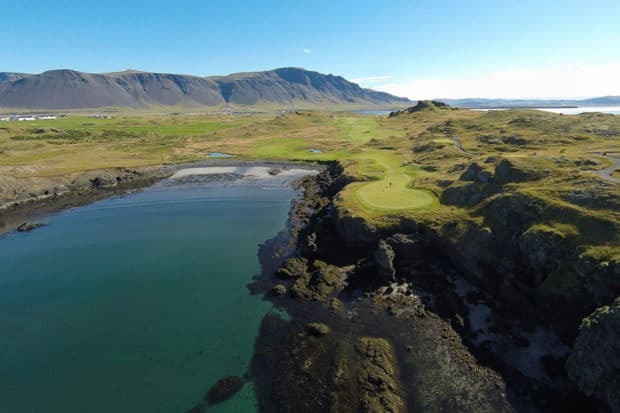 Nearby Iceland takes this concept to a new extreme, offering the unique experience of golfing under the midnight sun at Brautarholt Golf Club, sprawled along the cliffs six miles from Reykjavik. Other great Icelandic courses include Keiler, Vestmannaeyja and Leynir.